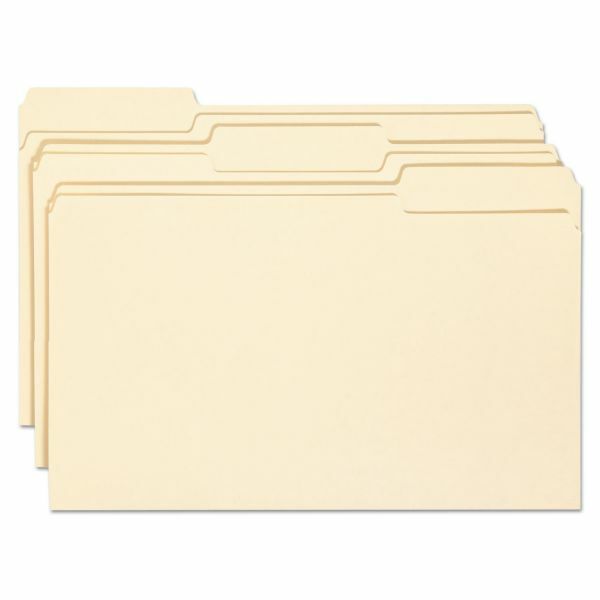 Smead File Folder w/Product Protection, 1/3 Cut Top Tab, Legal, Manila, 100/Box - Folders are treated with antimicrobial product protection to resist the growth of bacteria, mold and mildew that can cause stains, odors and product deterioration. Ideal for use where winning the war against bacteria and mold is critical, such as high-traffic offices and government buildings. 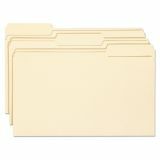 Folders offer 1/3 cut tab (single ply and 1/2" high) in assorted positions. Scored for 3/4" expansion. Acid-free, archival quality. SFI Certified.